GARY, IN, April 6, 2012, Mavis Larue Ward, Teacher at Westside High School, a part of the Gary Community School Corporation, has been recognized by Elite American Educators for dedication, achievements, and leadership in academic guidance. Ms. Ward has amassed a wealth of knowledge and experience over the course of an illustrious career that has spanned more than 42 years. In her current capacity as a high school teacher, she helps students to recognize and achieve their educational goals regularly. 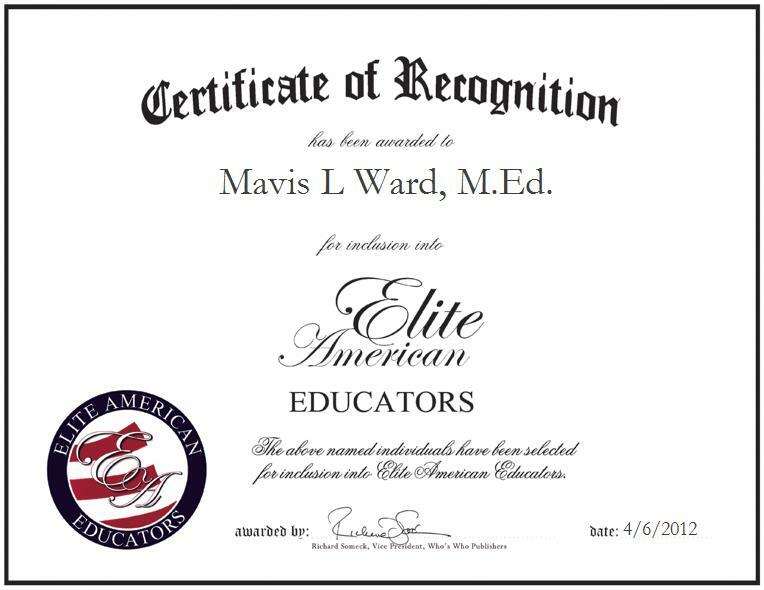 Ever committed to ensuring professional development and developing future leaders, Ms. Ward teaches business English to those with whom she works, and she has garnered a reputation of distinction among her colleagues and students for her positive attitude and devotion to giving students the high quality education that she feels they deserve. Ms. Ward was inspired to pursue a career path as a teacher by her fascination with helping, coaching and mentoring people. She answered her calling to the field and has since been able to implement strategies, work with a team, and to instill in youngsters a strong work ethic; these are the elements of her career that she feels are the most rewarding. Ms. Ward is a member of the North Central Association Commission on Accreditation and School Improvement, the Association for Supervision and Curriculum Development, and the National Honor Society.